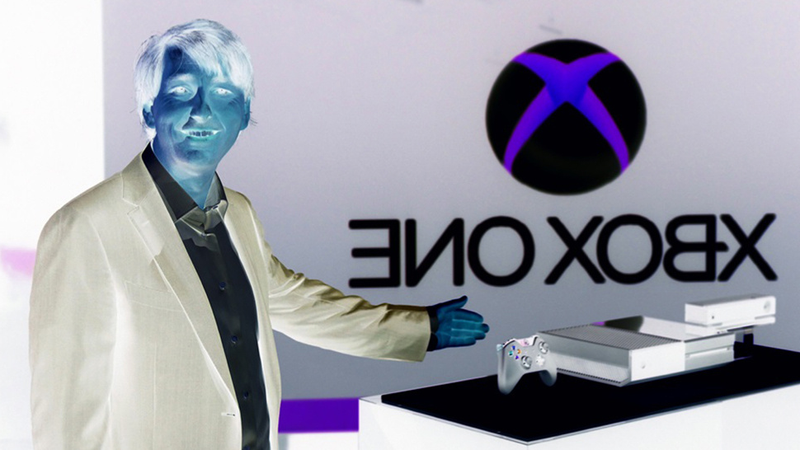 The quote in the headline comes from Don Mattrick, talking to the Wall Street Journal about the Xbox One when the topic of backwards compatibility came up. But that’s not the only head-scratching statement to come from the man in charge of all things Xbox. Imagine a typical game: there are characters in the foreground that interact with the player, and a background landscape with trees, hills or an ocean. Mattrick said Microsoft’s new servers, which the company increased to 300,000 from 15,000 currently used by the Xbox 360, will be able to do some of the work creating images for that background landscape and then stream them back to the console and TV, while the Xbox One focuses on making the characters look as impressive as possible. The basic concept in the quote above makes sense, as it’s essentially a distributed computing set-up. But what’s disturbing about the scenario is how it hints at a possible divide in the end experience. It seems to indicate that your game will look and/or play the way it’s supposed to if your Xbox One is online, because it’ll be able to take advantage of that cloud-computing back-end. It's a nice advantage to provide to developers, sure. But, if your console won't be online, then you probably won't want to buy games that use that back-end. Furthermore, what about consoles that are online but won't have always the best bandwidth? Will the Xbox One have to work differently or harder if the connection falters? Will there be missing detail or inconsistent visuals? There’s probably going to be some sort of sliding scale protocol for the cloud processing but, if there’s any kind of noticeable difference in performance, Microsoft will have a big problem on their hands.